Try our newest delectable body treat! Smells just like chocolate! This scrumptious brown sugar scrub is great for exfoliating dead cells, promoting cell turnover, and reinvigorating dull, patchy skin. It is made with 5 skin-loving oils and will provide intense moisture to skin. This listing is for a 10 oz scrub but will have 5 oz scrubs upon request only. 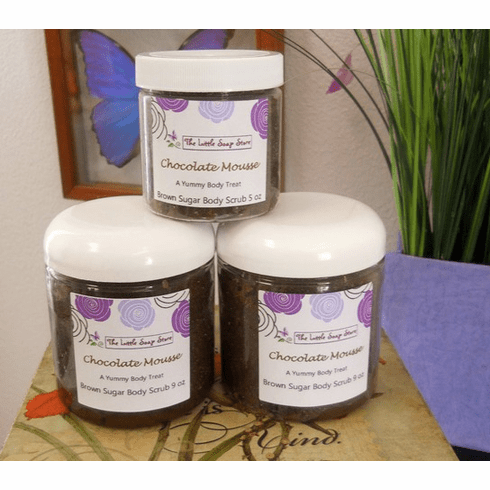 Try our Chocolate Mousse lotion and soap!